It is well known that the first powered and piloted flight of an aircraft was performed by two brothers, Orville and Wilbur Wright. These two brothers designed a glider-based aircraft that was powered by a 4-stroke engine. The design also had a 32-foot wingspan and weighed about 700 pounds. This aircraft came to be known as the Flyer. While this aircraft did not incorporate flapping flight like that of a bird or ornithopter, the design had many characteristics similar to that of a bird’s wings. Before actually designing the Flyer, the Wright Brothers did a lot of research regarding early flight models and how they failed. They would use the failures of previous flight enthusiasts to their advantage to build a plane that would fly without crashing or breaking down in flight like the others did before. The Wright brothers also did a great deal of studying on the flight of birds. They observed that birds soared into the wind and that the air flowing over the curved surface of their wings created lift. 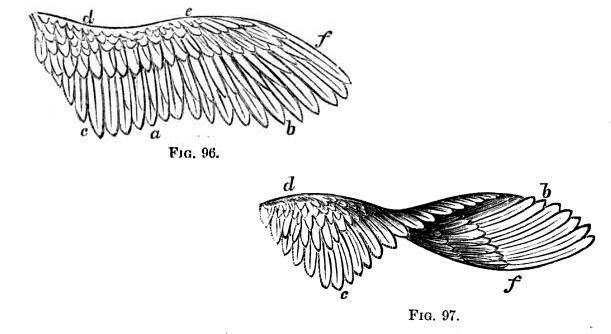 Birds change the shape of their wings to turn and maneuver and the two brothers believed that they could find a way to implement this technique to obtain roll control by warping, or changing the shape, of a portion of the wing. The Wright brothers used a technique known as wing warping to change the shape of their wing to allow their design to turn and maneuver better. In this process the trailing edges of the wings of their flying machine twist in opposite directions. This allows the wing to become more aerodynamic and produce more lift, which in 1903 was crucial, because the engines made back then could not produce enough power to generate vast amounts of lift that would make it very easy to generate lift. Due to the lack of power from the engine, the idea of wing warping needed to be used to produce extra lift. By warping the wing and twisting the trailing edges of each wing in opposite directions, the wings on the aircraft become very similar to that of a birds. The wings on the aircraft do not flap obviously, but the twist in the wing emulates the twist in the wing that birds have which helps them be more agile and aerodynamic while flying. 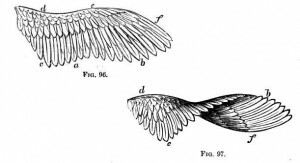 I find it very funny that the beginning designs of flight were very focused on wings that could move similarly to birds. Sadly, there wasn’t nearly enough technology to be able to properly mimic flight. Now that we have come to learn more about the process of flight and our society has caught up technologically, we are finally going back to that original model!